RGS Module Kits. Upgrade your Wheel Stand Pro stand. 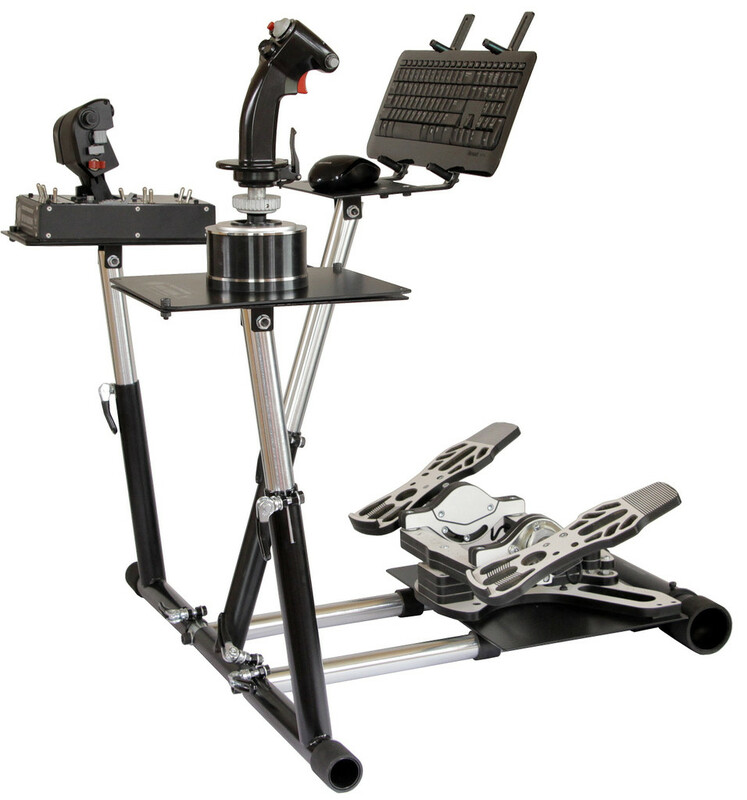 RGS Module kit to upgrade your Wheel Stand Pro stand by attaching a fully articulating shifter adapter/bracket. All prices are for the RGS Module only. Wheelstand, wheel, pedals and shifters are not included. This thing is rock solid and perfect for my G25. I'm actually learning Manual with it. This kit works great. The fit was perfect right out of the box. 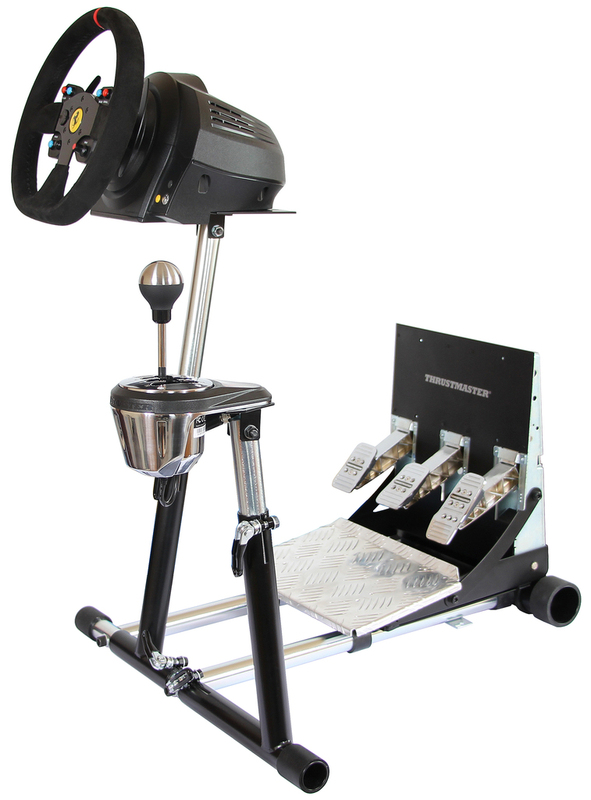 The Thrustmaster shifte fits perfect.Thats Thrustmaster for another great product. Very sturdy. Holds shifter without coming loose or moving around. It is adjustable and the shifter can be placed more realistically down and to the side of a chair rather than up at the level of the wheel. It was easy to assemble to the existing wheel-stand and was an excellent upgrade. I'm very pleased with this product. Excellent Build quality, I purchased the wheelstand pro without this not knowing it was available as a whole but when I found out I can order the mount itself it was a no brainer. The rgs adapter is the same quality as the stand so very solid and sturdy install was easy and shifter bolted right in with the supplied screws. Driving sim has gotten 100% better with this adapter. If you don't have it you are surely missing out. 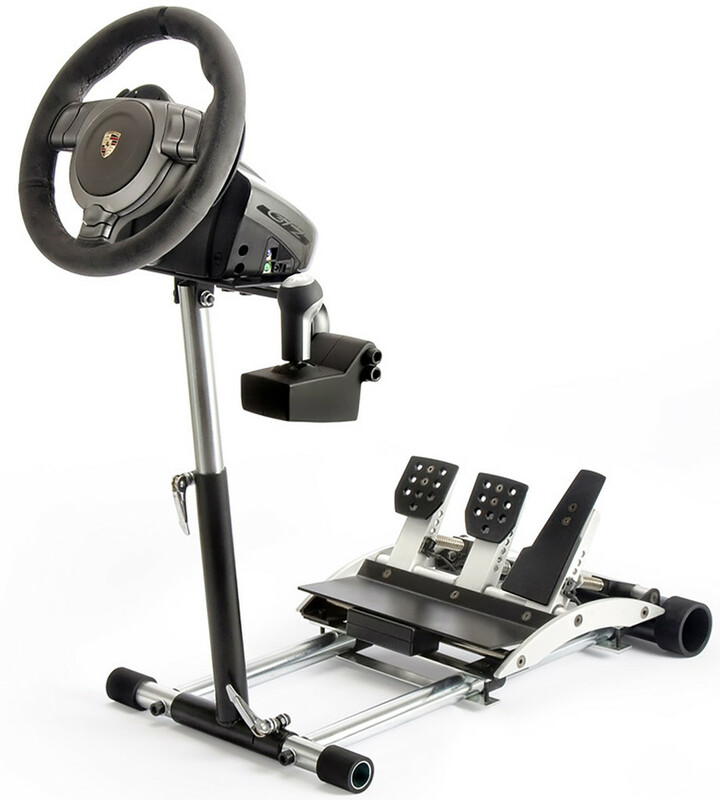 If you are like me and did not know you could get the full Wheel Stand Pro with this included (I first ordered from a certain large online retailer) then buy this now. If you don't have a shifter... you'll want to pick up one of those immediately too. There is nothing terribly wrong with the original version that mounts directly horizontal to the wheel. However, when was the last time you saw a manual shifter in a car directly horizontal to the wheel on the dashboard? Thats where the radio is! 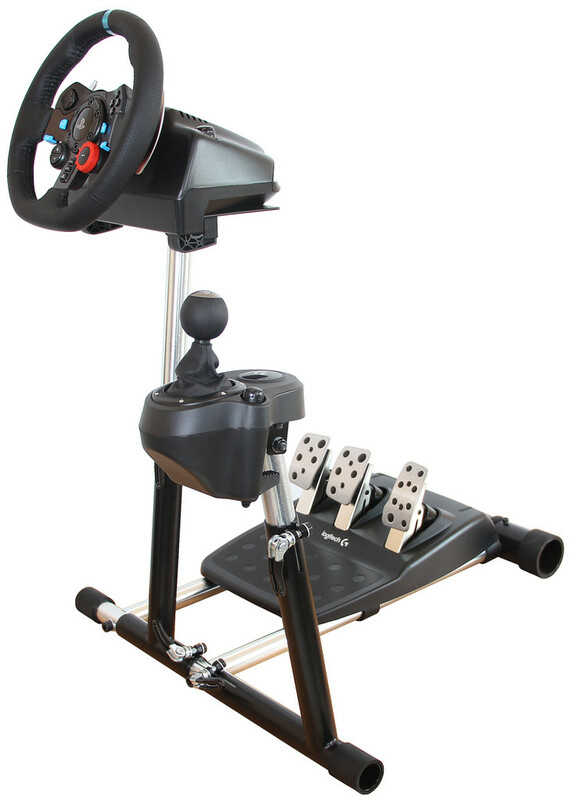 When I was first playing with my Wheel Stand Pro (and having a blast even then), I was thinking that the only thing that would make the experience better is if the shifter was in a more realistic position. Not much to say there... problem solved. A few thoughts: PROS 1. It's made from the same materials and design concepts as the base unit. It's the same quality. 2. It mounts easily (once you get that rubber foot off the other) 3. This gives the base more stability because it makes it wider. Before I had this, i actually tipped the whole thing over from steering against the force feedback of the wheel once. No way that would happen now. 4. It, of course, allows the natural shifter position. 5. Can mount multiple brands. 6. Video one Youtube shows exactly how to mount it. Some advice though. That guy in the video has finger strength of the gods. Cut the rubber foot off. I eventually pulled mine off, but it took about 15 minutes. CONS: 1. Since the wheel and this item are both articulating, it's hard to mount the shifter cable down to the frame and still allow full movement of all the parts. It's really that the cable just isn't long enough. I use the TH8A. I am going to look into an extension for the cable. If I find one, this will be solved. 2. It is a bit bulkier/wider for fold-up storage. Definitely worth that tradeoff in my opinion though. You have options here if absolutely needed. You could remove the entire unit for storage easily, provided your cable was removable as well. Thats about it on the cons. I love it.